WOLFSBURG -- Volkswagen Group said it will shrink the workforce at its core VW passenger cars brand by up to 7,000 staff in a bid to raise the brand's operating margin to 6 percent. The automaker also aims to raise productivity and make 5.9 billion euros ($6.7 billion) worth of annual savings by 2023. VW has ruled out compulsory layoffs until 2025, but early retirement and not filling positions will help the automaker to reduce its workforce between 5,000 and 7,000 positions, the company said. "We will significantly step up the pace of our transformation so as to make Volkswagen fit for the electric and digital era," VW brand COO Ralf Brandstaetter said. Finance chief Arno Antlitz said the measures will enable the brand to achieve a margin of 6 percent in 2022. Last year VW brand's margin slipped to 3.8 percent from 4.2 percent in 2017, VW said on Tuesday. Results were hit by delivery bottlenecks caused by Europe's new WLTP emissions testing cycle and big investments in electric vehicles. The VW brand accounts for about half of VW Group's global deliveries. It employs about 185,000 workers out of a group workforce of 650,000. VW has been pushing to rein in bloated expenses to lift profitability that’s trailing rivals. Labor costs are a "big concern" that risk derailing a much needed streamlining of operations, VW CEO Herbert Diess told investors on Tuesday. Diess, who also heads the VW brand, has been axing slow-selling models and car variants to reduce complexity. VW signed a labor pact in 2016 to cut 30,000 jobs worldwide and generate 3 billion euros in annual savings. 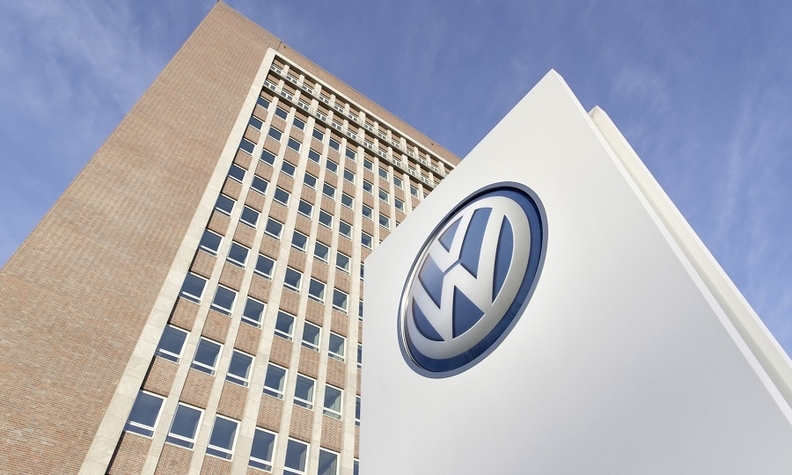 The brand has achieved 2.4 billion euros in savings so far and a net reduction of more than 6,300 positions, despite adding 2,700 jobs including in software operations, VW said Wednesday. "We are on track," Brandstaetter said. Bernd Osterloh, VW’s powerful labor leader, signaled support for further cutbacks in principal, stressing a job guarantee until at least 2025 remains in place with any job reductions based on voluntary agreements. He also urged a draft labor pact on retraining employees for software and digital operations, Osterloh told Bloomberg in an emailed statement. For this year, the VW nameplate targets revenue growth of as much as 5 percent and an operating return on sales between 4 percent and 5 percent. It will boost investment in future technology to 19 billion euros through 2023, an increase of 8 billion euros. VW will start producing the first model of its all-electric I.D. car range toward the end of this year. Order books for electric I.D. hatchback open on May 8 and sales chief Juergen Stackmann said feedback from dealers is so strong that the model might be sold out before its official presentation in September.